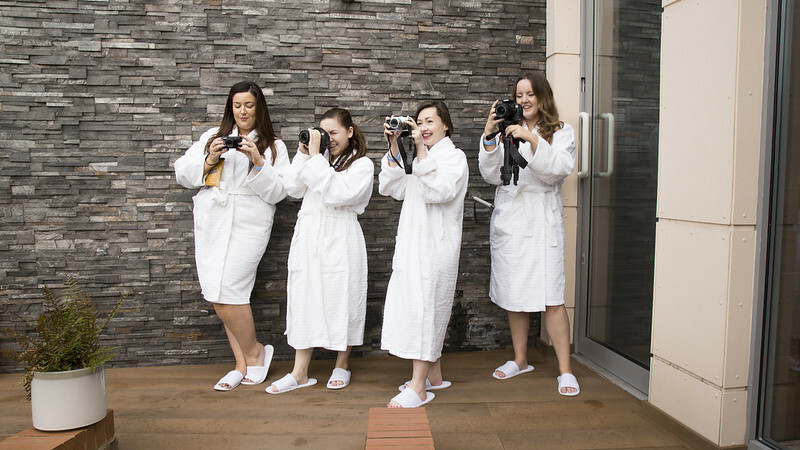 A few Saturday's ago myself and some other lovely local bloggers attended the Y Spa Blogger Day. 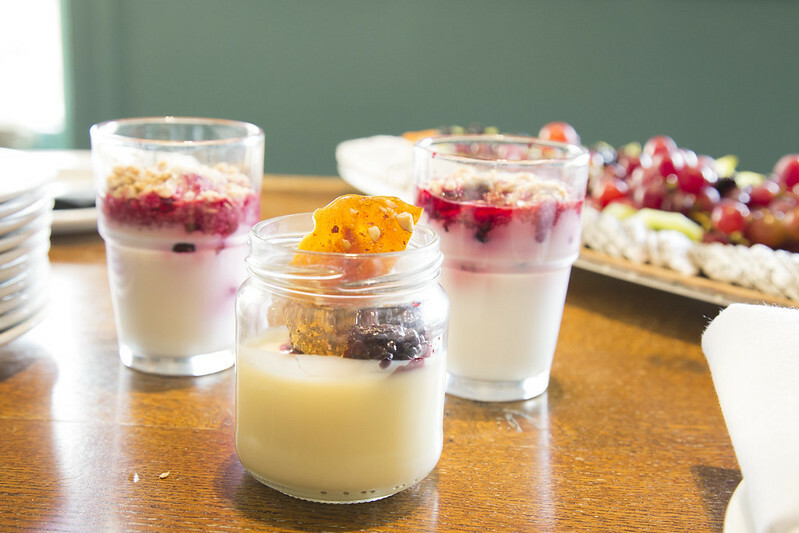 We sampled food, enjoyed the spa and got to test out one of the facials they offer. I am still thinking about the amazing food weeks later, I didn't eat any breakfast so I could attend with a rumbling tummy. It was not disappointed. 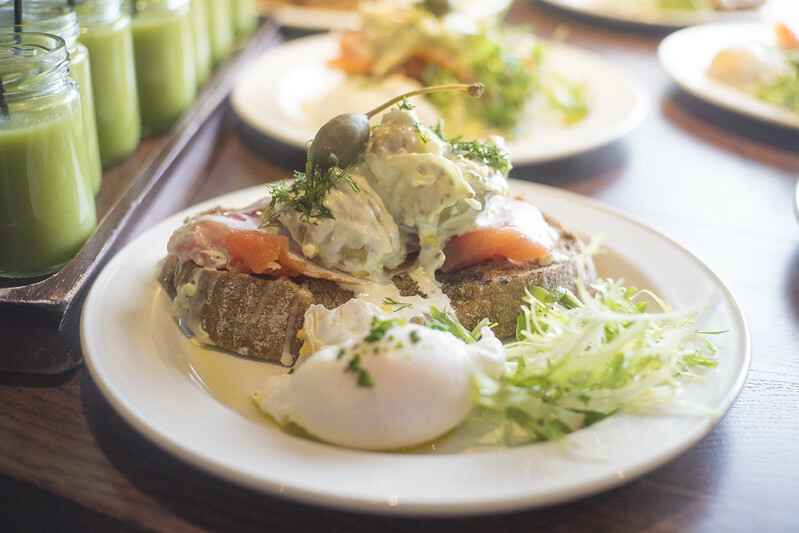 Yummy healthy juices, poached eggs, salmon and potato salad stacked on seeded bread, panna cotta topped with berries and sweet crispy loveliness were just a few items my taste buds got to sample. While munching away through these lovely treats we all got to chit chat about lots of blog stuff, and the lovely Julie told us all about the spa. Of course the cameras were at the ready and everything was being snapped. I have been lucky enough to visit the spa a few times now, with it only being up the road to me it would be rude not to. It is a hidden gem, every detail has been considered from the thought provoking quotes in the changing rooms to the clearly organised reads in the time out area, or egg room as I like to call it. The hydrotherapy pool area is one that has to be seen in the flesh to be appreciated. With cosy fires, snuggly blankets and comfy seats, although not ideal for this time of year when the weather starts to warm it will be a great spot to chill in between having a dunk in the pool or visiting the different sauna or steam rooms. The pool has areas where you can lie down and appreciate the bubbles. I did have rather wrinkly fingers after spending far to long floating in the water. I had never heard of this beauty brand before my Y Spa visit but I am loving their products. I had the Pom Power facial which uses antioxidants found in Pomegranates. It is meant to give you fresh, glowing, radiant skin. I could feel my skin getting fresher throughout the facial, however it was still relaxing enough that I almost fell asleep. I also received a sample box of some of their products and I am totally converted, they are gentle but proactive in what they do. I highly recommend giving them a go. Y Spa always have offers on so make sure you check out their website here. My post is just of taste of what they have to offer, to really appreciate it you need to check them out for yourself. Check out my video below to see more of what we got up to. A really big thank you to Y Spa for having us. This looks like so much fun! I'll have to book myself in next time I need a break!